Did his knee touch down? Did the ball come out before the goal line? Were both feet in bounds when the receiver caught the ball? Did the defender strike a blow to the running back’s head? 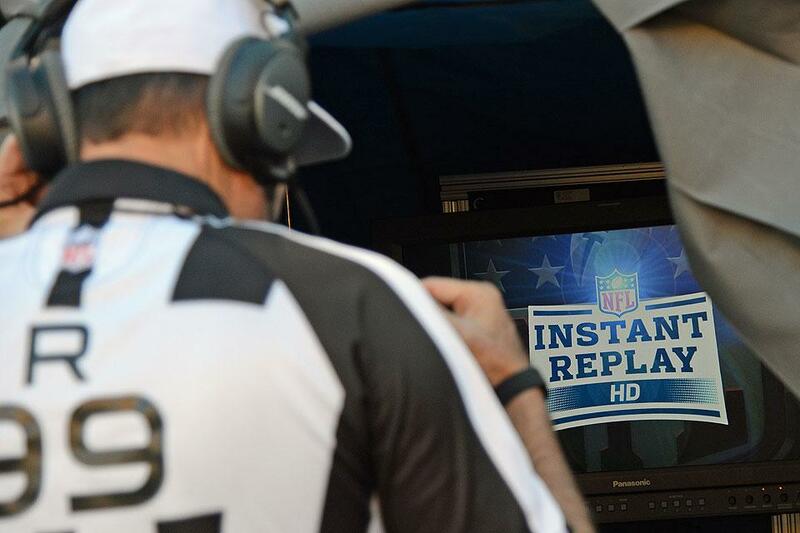 Through the power of technology and an abundance of patience from the viewer, the officials ‘usually’ get it after reviewing the replay footage. ‘Upon further review’ is now on par with everyday phrases such as: ‘OK Google’, ‘Skype Me’ or ‘Pin It’. What does the end of your workday look like? Analyze your day to ensure a better tomorrow. Is it a mad scramble, hammering out rushed emails, attending meetings where you’re woefully unprepared, and then, maybe, if you remember, a fleeting glance at your schedule for tomorrow? What if you took back the 30 minutes of your workday? Could you strive to unequivocally not schedule or accept any meetings near day’s end? I know – some meetings are unavoidable, missing them would jeopardize your role on a key program or, much worse, your job. If your boss’ boss wants the latest on a high profile project, and expects an update at a 5pm meeting, you best make yourself available and stay as long as is necessary. On those days, when you can block off your day’s last 30 minutes like a offensive lineman clearing a path for the speedy running back, consider reflecting on your day like the NFL referee analyzing the replay of a critical 4th down and goal play from the 1 yard line. ‘Upon further review, I’ve determined that I spent waaaayyyy too much time answering, unimportant email. Tomorrow, I endeavor to check email once in the morning, once at lunch and once at day’s end. ‘Upon further review, I realized I have to prepare better for meetings. I felt entirely unprepared for the questions asked by Joe and Sheila, two teammates I really need on board for a high-visibility project. If you are like most of us, some days you just can’t guard the day’s final 30 minutes – your daughter has an after school recital and you’ll never make it with the traffic if you don’t leave now. Aim for a ‘review of your day’ once a week, then twice a week, then three times a week — keep stretching until it becomes a healthy, enriching daily habit. Don’t let the NFL officials have all the fun. Go under the hood at the end of today and start prepping for an even better tomorrow.